The new terminal at Ukraine’s Odesa airport has started serving international passengers. The facility is now fully operational, the airport said in a statement. 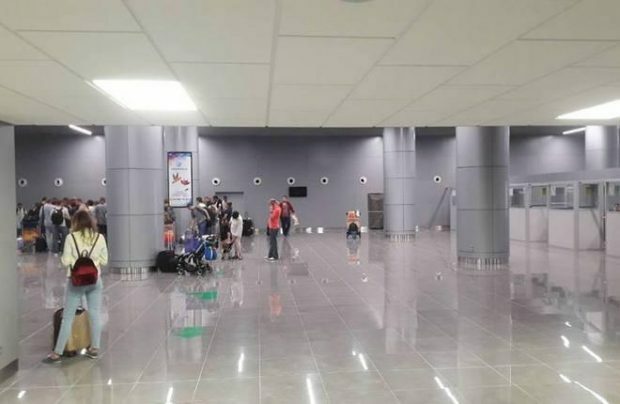 The new terminal opened for domestic passengers in April this year. According to the plan, all flights at Odesa, including charters, are to be transferred to the new terminal eventually. The old terminal will be taken out of service. The new facility expands the airport’s annual throughput capacity to 3 million passengers. The four-story building has a total floor area of 29,000 sq.m. The old terminal could only serve 1 million passengers per year, and was operating at capacity limit. Last year it served its millionth passenger on December 19. Odesa was Ukraine’s third largest airpot by operational results in 2016 after Kyiv’s Boryspil and Zhulyany. The new terminal opens up broad development opportunities for the airport, which operates under an open skies regime, and is expected to benefit the economy of the entire region. However, further development is being impeded by the poor condition of Odesa’s only runway. Work to bulid a new runway is expected to begin in 2017 and continue for about 30 months, Prime Minister Volodymyr Hroysman announced on September 8.